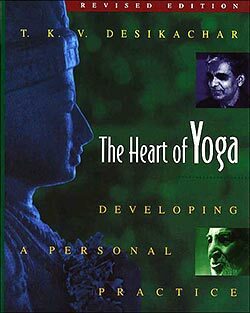 This central text provides an accessible and interesting overview of the teachings of yoga, and includes a translation of Patanjali’s Yoga Sutras. For anyone who would like to deepen an understanding of asana practice, particularly as it can be applied to specific health conditions. Through accessible language appropriate for every level of practice, you will be guided you through the techniques of inquiry and yoga nidra meditation to help you realize your true and natural state of nondual, unqualified Presence. Excellent introduction to meditation from a nondual perspective. Selected dharma talks of Adyashanti, a contemporary teacher whose teachings are all about waking up to True Nature. “Ekhart Tolle's message is simple: living in the now is the truest path to happiness and enlightenment.” An accessible book that can change the way you think and experience life. Any book by Thich Nhat Hanh is essential reading, this is just one of many that discusses mindfulness meditation as a life practice. Excellent for anyone who would like an accessible of the intricacies of breathing (the essence of wellbeing). Science of Breath: A practical guide by Swami Rama, Rudolph Ballentine, Alan Hymes. This book provides a bridge between Western understandings and Eastern perspectives regarding the breath. A must-read for any yogi wanting to deepen an understanding of pranayama and subtle energies.